Not too long ago, the church as a whole began to put a huge emphasis on music. The most important hire was the worship leader. And if a church didn’t have good worship, it was assumed the church was on the brink of failure. In a recent post by Thom Rainer (CEO of LifeWay), he points out that the first priority staff hire is now the children’s minister, no longer the worship leader (read the article here). On top of this, the emphasis during worship is changing from performance singing to congregational singing. I bet we can all agree that these are both good things. Without our kids, there is no future to the church. And without congregational singing, why are we even leading worship anyways? But, most still believe music is the primary way to worship God. The huge emphasis on worship music in church over the past several years has led us to believe music is the primary, or maybe even the only way to worship God. And, considering I have been a worship leader for 10+ years, I have definitely had this belief myself. I recently heard someone say they wanted to take a break from serving on the worship team. The reason? They felt they could not worship without having a guitar in their hands. In other words, they felt their worship was being hindered and wanted to get things sorted out. I can relate. When not leading worship, but in the congregation, I feel a bit ‘misplaced’. It is an odd feeling to simply sing and not be concerned with leading the band and making sure the congregation is engaged. So, does this mean worship leaders are not good worshipers? Not at all. But, this does reveal that there is a skewed belief about what worship really is. Worship goes far beyond singing songs. Whether a worship leader is singing directly to God or serving the congregation by making things stay on track, both are ways we worship God. Actually, serving others is probably the highest form of worship. The quality of worship is gauged by how well we love others. Worshiping God through song is powerful and important. Over the years, I have seen God do amazing things through worship, including divine healing and deliverance. So, I am in no way suggesting we stop pouring our hearts into music at church. 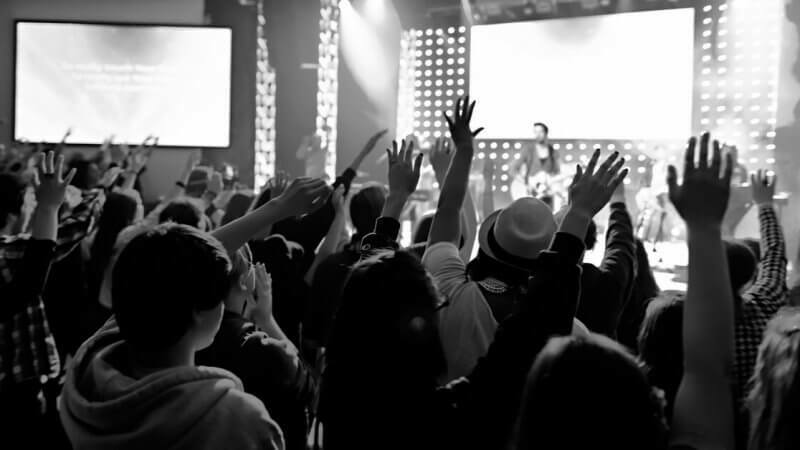 But, we can’t fall into the belief that worship music is the end-all-be-all to worship. It is simply one way we worship God. We should go throughout our days looking for opportunities to show God’s love. This could be as simple as smiling at the person walking by instead of ignoring them. Or, spending time with someone struggling with loneliness. How do you plan to show God’s love today? Thank you for this. Blessings!! The challenge I take away from here is that as the “leader,” I need to be teaching my team how to better worship/serve/love, on or off the platform. And that could mean serving as a team at a local outreach…and not sing/play. I’ve always believed that the most important part of worship happens off stage. If my view of worship is only the 4 songs I sing/play/perform on Sunday morning, then I have a very narrow and most likely, an incorrect view of worship. There is something to be said about the phrase “Worship is a Lifestyle”. If you teach children to truly worship (Love God, Love people) then they and your church will better for it. Good word, Joel. Thanks for the comment!